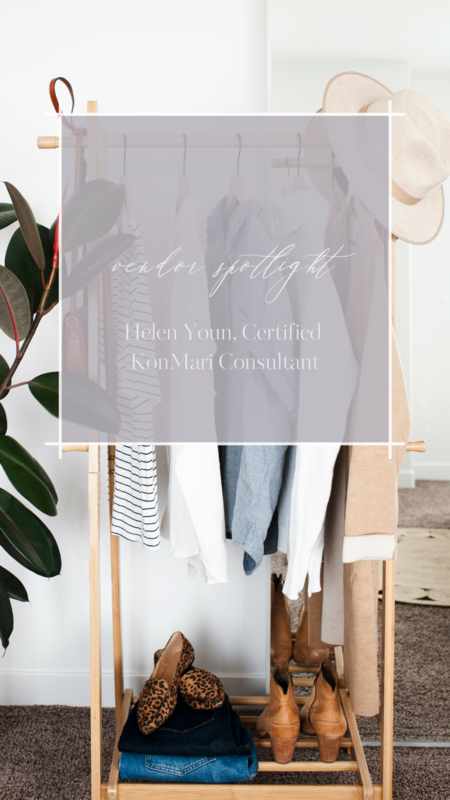 With over 15 years of experience working in Fashion, Design and Marketing, Helen Youn is a professional organizer who specializes in the KonMari Method™. Helen is a master at guiding and supporting people through this life-changing journey while transforming their homes in the process. As one of the first Certified KonMari Consultants in Canada, she spends time working in client’s homes, teaching workshops and speaking at various seminars and conferences. Helen runs on matcha lattes and macarons and can often be seen exploring cute cafes around the city! JR: Tell us about your business – what is the simplest way to explain the KonMari method? HY: It’s all about joy, and creating a home that will support you to live the life that will bring you the most joy. JR: What made you decide to become a KonMari consultant / did you always want to work in home transformation? 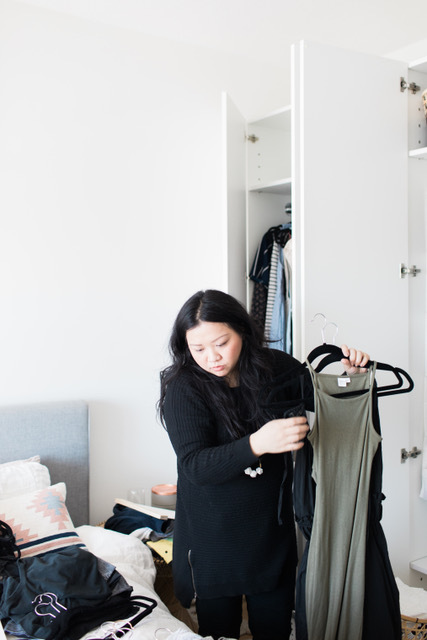 HY: I was an overwhelmed and disorganized new mom when I came across “The Life-Changing Magic of Tidying Up.” It sounded too good to be true to get organized once and have it stay that way, so we had to try it. Once we completed the process, our home was transformed from chaos to joy. It took so much of the daily stress away that I was able to focus on joy again. 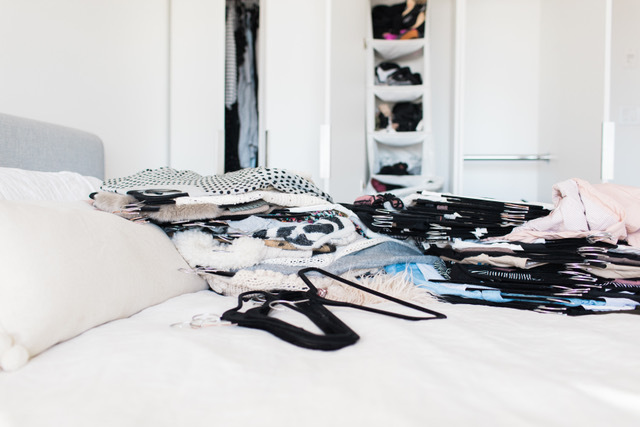 After being a disorganized person my whole life, it was a miracle that my home was finally organized and stayed that way. I changed my mindset, my relationship to “things” and shopping habits. I became a huge believer in the method. When I saw registration was open to train to become a KonMari Consultant, I jumped at the chance. JR: Is it true that “tidying up” can change someone’s life? Any examples? HY: Absolutely! It changed my life! After going through the process, people often change jobs, change their habits and how they spend their time. I’ve also had clients downsize to a smaller home or move to a different neighborhood that is more aligned with their ideal life. JR: Does the KonMari method ever change, or do the same tactics apply to all? 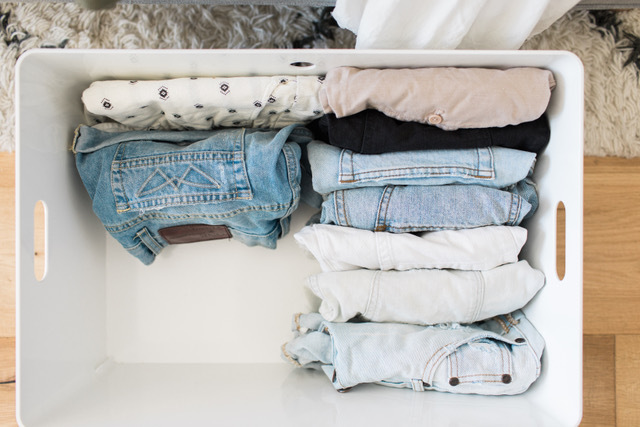 HY: The core principles are always the same, but as a certified KonMari Consultant, I can adapt a technique for each situation while still following the overarching method to help guide people through the process. JR: What is the most challenging and rewarding part of your business? HY: The most challenging part is when people are resistant to change, or they try to control the process too much and it ends up hindering their own progress. The most rewarding part is being a catalyst for change. Being able to witness that transformation towards a joyful life is priceless. JR: Tell us something interesting about yourself! HY: My family and I immigrated to Canada when I was nine years old and I got to choose my own English name! I named myself Helen after reading a story about Helen Keller.